Dottore Gianni would like to begin with a confession. After all, it’s Lent, Holy Week in fact – time to unburden himself! I disobeyed my parents 4 times. I went to a concert of the Greenville Symphony Orchestra’s large chamber ensemble a few weeks ago and did NOT write a blog post about it. For these and any other sins I may have forgotten, please forgive me. There! It’s off Dottore Gianni’s chest! Whew! For the record, even though he was not instructed to, he made a good act of contrition afterward and also said three Our Fathers and Three Hail Maries. He did NOT attempt The Apostle’s Creed, as one unforgiving priest rudely assigned him for penance at some point when the good doctor was in sixth grade! So yes, I missed writing about a concert of the GSO. It was called Twentieth Century Jewels and was given the day after I returned to Greenville from a week in New York City, about which I DID blog. As those of you who read that post can tell the writing was labored, but at least it took forever for the words to come. And by the time I finally finished that writing I had pretty much forgot what I was going to say about the concert. I do remember that while I enjoyed it, it was not my favorite, in fact was probably my least favorite, which could also have something to do with the absence of a blog post. For the record (again) it consisted of music by Igor Stravinsky (Suite No. 2 for Small Orchestra), Gian Carlo Menotti (Sebastian Suite), Aaron Copland (Clarinet Concerto) and Alberto Ginastera (Estancia: Four Dances, Op. 8a). ONE…because I was going to quote a favorite lyric of mine from Menotti’s Amahl and the Night Visitors: “Don’t you dare, don’t you dare, don’t you dare ugly man hurt my mother!” Which of course has nothing to do with the Menotti was played at the concert…but it brings back pleasant memories of my own mother, and not so pleasant ones of my father. and TWO…because Copland’s concerto was commissioned by none other than the king of swing, Benny Goodman! I was also going to incorporate a story I saw recently on BBC News, about the dark past of the Vienna Philharmonic. It seems that many of their members before and during World War II were active and enthusiastic members of the Nazi party. As I remember some were banished from the orchestra just after the war, but several were returned to it shortly thereafter, including an SS officer, who was for many years its concertmaster. tsk, tsk. So instead I just incorporated it here! Actually I was also going to riff on the very MALE nature of that orchestra, to this day. I saw them once in person and don’t remember seeing a single woman in the orchestra – more recently, at what I can stomach of the annual Strauss Waltzes done at New Year’s I have noted a very few women interspersed. The first such was a harp player (harpist? harpie? I’m sure that’s how some of her fellow musicians regarded her). And again I did just now! BUT! On to the concert I saw yesterday and am blogging on today! Billed as “Mostly Mozart” this is one Dottore Gianni has been looking forward to all year, as he is an aficionado of that great composer. And it was mostly Mozart, consisting of two overtures, that of The Abduction from the Seraglio, which opened the concert, also that of Don Giovanni, which opened the second half of the concert, and one of his finest Symphonies, No. 38, known as The Prague Symphony. 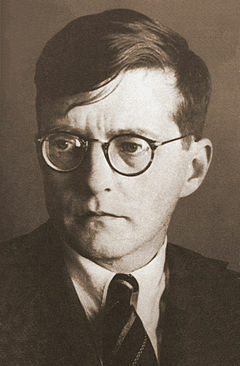 The final piece of music was by the great twentieth century Russian composer, Dmitri Shostakovich – his Symphony No. 9 to be specific, quite a contrast to Mozart one would think, and one would think rightly. though I really didn’t say all that much about him, as he is so well known. In fact today, while I want to write about a composer I so admire, I think I will cover the disconnect between the composer most people know from the play and film Amadeus and the real-life young musical genius who died too soon. Later I want to show that there are similarities between Mozart and Shostakovich – not musically (as how would the good doctor know that anyway?) but in some of the life challenges they faced. 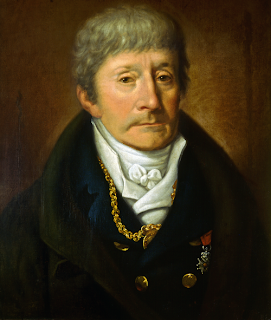 First I’ll say that Peter Shaffer was not completely inaccurate in his tale of the young genius, loved by God (Ama-deus) and his rival, the well-trained but comparatively bland and academic composer Antonio Salieri. Certainly Italians were sought after in all the courts of Europe, not only as composers and musicians but as architects, designers, painters and so on. Italy was the cultural center and the rest of Europe attempted to emulate it. The easiest way to do this was to buy Italian talent for courts at Paris, Vienna, and others as far afield as St Petersburg in distant Russia. Imagine if you wanted to write an opera whose libretto would be in your native language (in Mozart’s case German) but the only operas allowed to be performed had to be in written in the Italian language and composed in the Italian style. Mozart mastered it easily, but still it must have been frustrating, and it is true that letters were written by Mozart and his father concerning the Italian “cabal” with Salieri at its head, and how the Italians in general and Salieri were blocking Mozart’s progress in Vienna. But while they were rivals Mozart and Salieri respected each other and even worked together on occasion. Furthermore, even the young real-life genius Mozart would not have been allowed the hee-hawing shenanigans and fart jokes of Mozart as envisioned by Shaffer, and the business of Salieri poisoning Mozart has no basis in fact. Another Germanophile, Carl Maria von Weber, who was characterized as the “most German of German composers” may well have been responsible for starting rumors about the poisoning, and not long after Salieri’s death the great Russian Romantic poet Alexander Pushkin wrote his “little tragedy” Mozart and Salieri, a study in jealousy in which the envious Salieri poisons Mozart. Russian composer Rimsky-Korsakov then wrote a short opera based upon Pushkin’s poetic drama, which was first performed by the excellent Russian actor/singer Fyodor Chaliapin. It is from Pushkin’s tale that the clever Peter Shaffer took his cue. One more note and I’ll move on. The world knows the film version of Amadeus, but it was re-written extensively by Shaffer and directed brilliantly by Milos Forman. 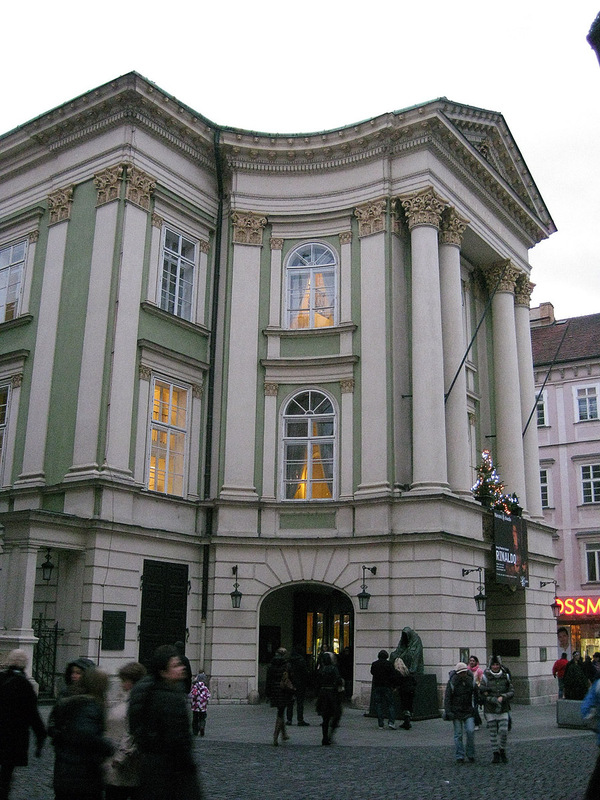 While the film is a beautiful look at eighteenth century Vienna (though most of it was shot in Prague), the play is a much stronger piece, and is an excuse for one of Shaffer’s favorite themes: man and god (see, or at least read Shaffer’s earlier plays The Royal Hunt of the Sun and especially Equus if you don’t believe me – and DON’T for god’s sake see the film version of Equus, which insults the play even while boasting an amazing cast). 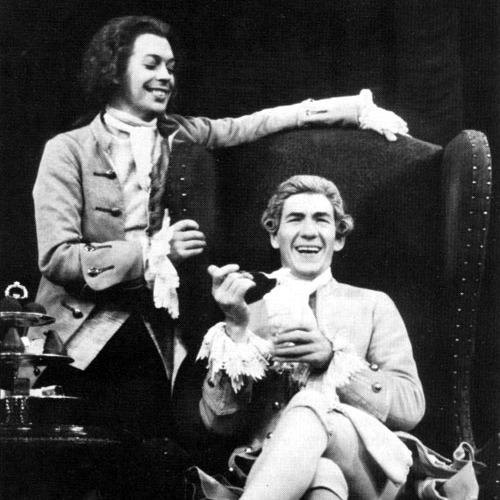 Well, no, still one MORE note and I’ll move on – I was lucky enough to see Ian McKellen play Salieri, accompanied by Tim Curry as Mozart and by Jane Seymour as his wife. And I will never forget McKellen’s performance – masterful is not too strong a word. About the film I remember locations, music, atmosphere, little else, but there you have it – it is the film most people will know. Mozart wrote a few other singspiele as well, most famously Die Zauberflöte, or The Magic Flute. Of course Mozart was correct, and the GSO produced rousing interpretation of the overture, which Mozart claimed was sure to keep the audience awake throughout. The piccolo is featured, along with much active use of cymbals, timpani and triangle in order to create a “Turkish” feel – a seraglio is where the wives and concubines of a Turkish sultan or housed, and where the opera is set. In this Mozart was following the fashion of turquerie, which sought to emulate the “orient” in the visual as well as performing arts in the eighteenth century. Certainly Mozart’s overture allowed none to sleep last Sunday afternoon! Symphony. 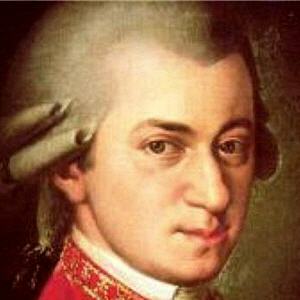 Mozart wrote it in Prague, where his wonderful opera The Marriage of Figaro had recently been all the rage. 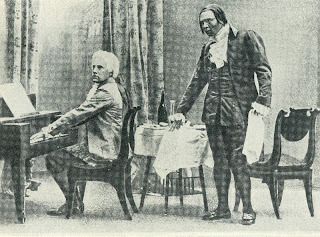 “In a letter to his father, dated January 15, he could report that "the one subject of conversation here is--Figaro; nothing is played, sung or whistled but--Figaro; nobody goes to any opera but--Figaro; everlastingly Figaro!" Similarly to Figaro, the symphony is frequently exuberant, but filled with complicated passages and a wide variety of themes as well, indicating a dark side to the general euphoria. Indeed as you can see above, it begins slowly before it leaps into a bright allegro. The critic I quoted above called the opening “at once majestic and suspenseful, in the best theatrical sense.” In the Presto Mozart’s principal theme is a quotation from Figaro, “Susanna's ‘Aprite, presto aprite,’ as she draws Cherubino from his hiding place to make his escape through the window.” The above-noted critic points out that it must have “driven the Figaro-intoxicated Prague audience wild.” It nearly drove Dottore Gianni into that state as well. Thus to much applause ended the first part of the concert. After intermission, Maestro Tchivzhel led the orchestra in another Mozart overture, to what some call Mozart’s greatest opera, Don Giovanni. Sidebar: Dottore Gianni does not agree. Certainly a wonderful opera, the perfect opera for the good doctor, whether Mozart. Puccini or Wagner, is The Marriage of Figaro. Period. Over and out. Of course it is a fine overture, beginning, not unlike the Prague Symphony, darkly, ominously even, with the motif of the stone guest, the Commendatore, invited to Don Giovanni’s last supper, at least on this earth…who knows if dinner is served in hell? Also as in the Prague, it lightens. Paul Hyde, in the GSO program notes, writes: “The vigorous music seems to represent the vitality, restlessness and forceful personality of the Don himself. Hyde also notes that Mozart is said to have written this excellent overture in ONE night, the night before the final dress rehearsal of its premiere, also in Prague. This doesn’t surprise Dottore Gianni, as he was listening only days ago to the excellent program Performance Today on Public Radio when the host introduced Mozart’s Symphony No. 36, The Linz, by saying that Mozart was invited to stay in a wealthy patron’s home, and of course was asked to play some of his music. But he had brought none along! So he sat down and wrote the symphony in a matter of four days, scoring the entire piece as well. Think about that the next time you listen to that beautiful symphony. And DO listen to it, Dottore Gianni urges you to. Why? It’s another of his very favorites, that’s why! Dottore Gianni seldom resists bragging. If you got it, flaunt it, right? 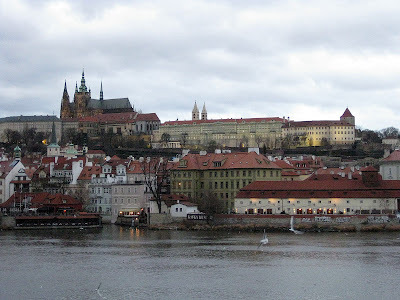 Well, on Christmas Day 2012 I happened to be in Prague (one of my favorite cities as well as one of Mozart’s – certainly they were friendlier to him there than in Vienna) and attended a performance of Don Giovanni at the very theatre where it premiered in 1787, the elegant Estates Theatre. It gave me great pleasure to do so, as I am not just a great fan of Mozart but also a nerdy historian and loved that aspect of the performance. But it’s still not as good as The Marriage of Figaro. So! The overture to Don Giovanni ended the Mozart portion of the concert, and with little ado the Maestro plunged into Symphony No. 9 by Shostakovich, written shortly after World War II. Before we launch into writing about the symphony itself, I promised you a demonstration of similarities between Mozart and the twentieth century Russian, and I shall. Whether or not you subscribe to the fiction about Mozart created by Peter Shaffer in Amadeus, the composer DID have a difficult time in Vienna surrounded by less talented but more powerful Italians. He had to scramble to survive and it cannot have been pleasant for him to do so. If you take Mozart and multiply by ten or more, you can perhaps begin to imagine a similar situation involving Dmitri Shostakovich with the Soviet Union in general and with “Uncle Joe” Stalin in particular. Whereas Mozart lost money and prestige, Shostakovich frequently came very close to losing his life – Mozart did ONLY if you believe the poisoning nonsense. I saw a play last year in London about the great author Mikhail Bulgakov (The Master and Margarita is his finest and one of Dottore Gianni’s favorite novels) and Stalin. 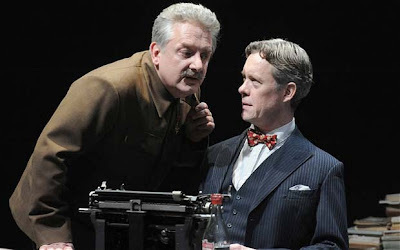 The production, which featured the brilliant Simon Russell Beale as Stalin and the excellent Alex Jennings as Bulgakov. Called Collaborators, by John Hodge (whose considerable credits include the film script for Trainspotting), the play begins when we find that the KGB has ordered Bulgakov to write a play about Stalin as a surprise for his birthday! Bulgakov is petrified naturally. The plot thickens when a deal is forced on the writer by the dictator, who pops in for a surprise visit: “Don’t worry, you don’t have to write the play, I know it’s difficult for you. I’LL write it!” If that isn’t bad enough. Stalin goes further. “But writing it will keep me busy, so while I’m writing, YOU will do my job.” He then hands Bulgakov a huge sheaf of paperwork: “Don’t worry, you just have to sign my name.” Of course what the writer must sign is death warrants and other nightmarish punishments for all sorts of people. The idea is great, though the play wasn’t worthy of the topic, or the production. Dottore Gianni grumbles at brilliant performances and production values holding up a weak piece of writing, and this was an example. Mind you Dottore Gianni was one of the only ones who thought this, as the play got great reviews and was moved from the Cottesloe, the smallest space in the great gray complex of the Royal National Theatre to the largest, the cavernous Olivier. But the good doctor was right nonetheless. It is true that Stalin really loved his artists, calling them in the middle of the night just to chat for example, until they wrote or composed something he did not like. And then…well, let’s just say that “Send to Siberia” would be the easy way out. Terrifying! 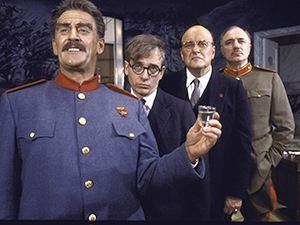 Len Cariou as Stalin, Philip Bosco as Zhdanov, his commissar for culture, Werner Klemperer as the composer Prokofiev and Austin Pendleton as Shostakovich. In case you’re confused, this is not the play of the same name about Maria Callas giving three master classes, which I also saw and loved – that was by Terrence McNally. In the Pownall play the premise is this: Josef Stalin orders the two composers to come to him (and his minister of culture) so that he can give them a music lesson. Arguably the two greatest modernist Russian composers after Stravinsky, they dared to write complicated, dissonant music. Stalin wants to “help” them to see the error of their ways by teaching them what good music is: simple Russian folk music. The play is almost impossible to produce as all four actors must play the piano – Stalin least well and Shostakovich (who gave up a career as a solo pianist to compose) very well indeed. But it was a dazzler, probably not as well written as it was performed, but memorable. Very, very funny at times but overall terrifying…that word again. Dottore Gianni has become aware that even by his standards this post is LONG! So no more on Shostakovich, even though some of you may be dying for it. Just a word or two about the piece we heard, and then, finita la commedia! Featured instruments include the trombone, which introduces an oompah rhythm shortly into the first movement, a piccolo, a clarinet, which begins the second movement and is joined by other winds, and a bassoon. The final three movements thrust together swiften the pace to the end of the piece. In spite of the fact that it infuriated Stalin & Co, it is delightful and it was brilliantly played by the GSO. In fact Dottore Gianni must confess that, Mozart lover that he certainly is, he enjoyed even a wee bit more the crazy Ninth of Rachmaninoff on Sunday afternoon. You see, he began with a confession, and has just ended with one!